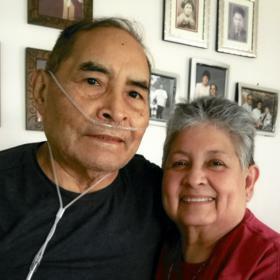 Francisco Arias Blas passed to Eternal Life on Sunday, July 22, 2018 at home. Francisco was born in Mexico City, Mexico on May 10, 1939 the eldest son of the late Jacinto Blas Sion and Juana Arias Rosales. While in Mexico, starting at age 6, Francisco begin his religious vocation by serving as a tour guide for people, who visited their home, to the Basilica de la Virgen de Guadalupe. 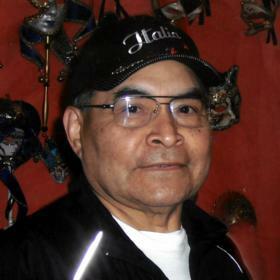 Francisco came to the U.S in 1977 became a U.S. citizen and was united in marriage to Florencia Garza on June 22, 1985. Francisco worked in the foundry at Racine Steel for 10 years and at Grove Gear in Union Grove until his retirement in 2005. 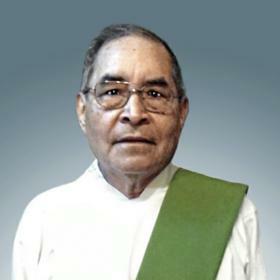 He was an active member of Cristo Rey Church since 1977 and served in the Parish Council, Maintenance, Festival Committee and Leader of the Cristo Rey Charismatic Prayer Group (1990 to 1994). He attended St. Francis Seminary becoming a Deacon in 1998 to serve the Cristo Rey Parish and St. Patrick’s Church in Racine. He became a Dominican Associate located at Siena Center in Racine. Following his father’s Zapotec Indigenous heritage, he became a proud Member of the Centro Tlacolula serving as Treasurer in the middle 1980’s. 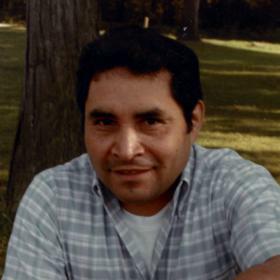 Francisco loved to cook, to sew, do yardwork, and do household chores to help the working family. He was a fantastic babysitter for his grandchildren, Robert and Aaliyah. He enjoyed taking them to eat, to the park, to school, to church and for ice cream on what he called a special grandpa/grandchild outing. Within his ministry he started a weekly Holy Hour at Cristo Rey and a yearly Holy Hour for Life in January, which he continued at St. Patrick’s Church. 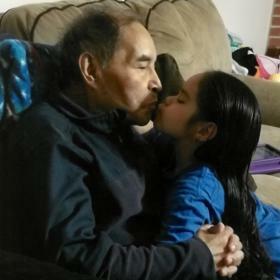 He loved to visit the sick at home and in hospitals or nursing homes. Francisco was a loving man. He lived by scripture 1 Corinthians 13. He enjoyed his family and friends. He loved to travel to where his family lived in Mexico and Texas and even to Rome, Italy to visit his faith family. Brothers-in-law: Jose F. Garza (Patricia), Antonio Garza (Rachel), Arturo Garza; Sisters-in-law, Catherine Ramos (Jose), Teresita Garza (Barry Peterson); Many loved nieces and nephews and other relatives. Francisco was preceded in death by his daughter, Blanca Aime, sister, Maria Teresa: brother, Gilberto; father-in-law, Jose C. Garza: mother-in-law, Angelita P. Garza. A Mass of Christian Burial will be held at St. Patrick Catholic Church, 1100 Erie Street, Friday July 27, 2018, 12:00 p.m., with Rev. Antony Thomas officiating. Interment will follow at Holy Cross Cemetery, Hwy 32. Relatives and friends may meet with the family at the funeral home on Thursday from 4:00 p.m. until 7:00 p.m. and at St. Patrick Catholic Church on Friday from 10:00 a.m. until time of Mass at noon. Memorials to the family, St. Patrick Catholic Church or Siena Center have been suggested. Special thanks to the Wheaton Franciscan Hospice staff, Wheaton Franciscan All Saints Cardiology staff, St. Catherine’s Froedtert’s South, Arcelia Toscano, Manuel Magallanes, Emma Muniz, Javier and Margarita Vega, Daisy Sotelo, Luke Barnes, Archdiocese of Milwaukee Deacons, Dominican Sisters, and the many friends who supported the family during Francisco’s illness.